Set in more than 220 acres of beautiful North Yorkshire countryside, Queen Ethelburga’s has provided students with a vibrant and supportive school community since 1912. We welcome girls and boys from 3 months and support them through our four schools - Chapter House (3 months to Year 5), King’s Magna (Year 6 to 9), The College and Faculty (both Year 10 to 13) – to become resilient, confident and independent young adults who are well prepared for their future. QE is known locally, nationally and internationally as a place that promotes the highest standards in all that it does. 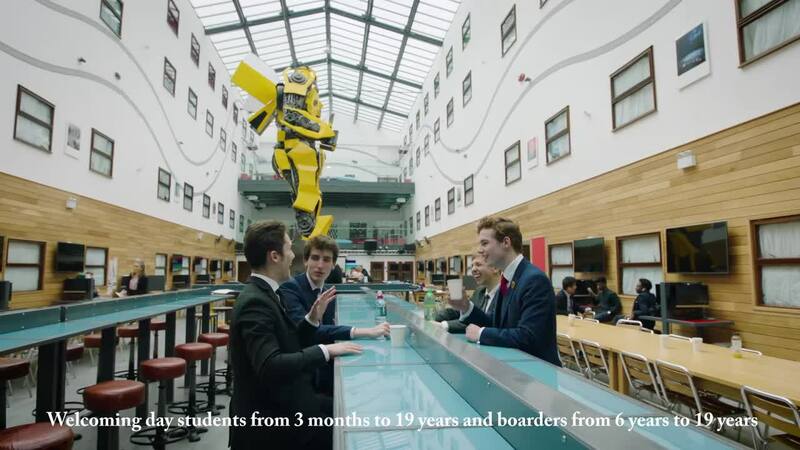 Our reputation has grown considerably over recent years, and we believe this is due to our drive to ensure that our outcomes for QE students, across all areas of their endeavour and aspiration, match those of the world’s best schools. The Independent Schools Inspectorate (ISI) awarded the Collegiate the top grading of ‘Excellent’ across all schools and areas, following an inspection in February this year, praising the pupils’ outstanding academic achievements and personal development. Our exam results speak for themselves, consistently ranking us amongst the top 10 day and boarding schools in the UK, with students benefiting from wonderful study, boarding and leisure facilities as part of campus life.